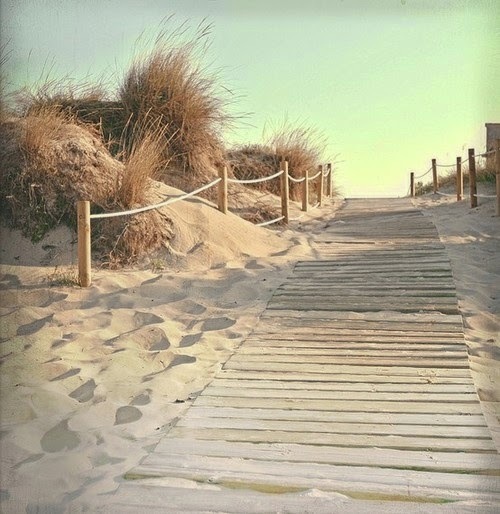 One of the nice things about Charleston is that we live at the beach. With that said, it's time for me to hang out with my family and friends and enjoy what this beautiful place has to offer. I'll be taking the next week off to do just that. Please come back and visit with me the following week. 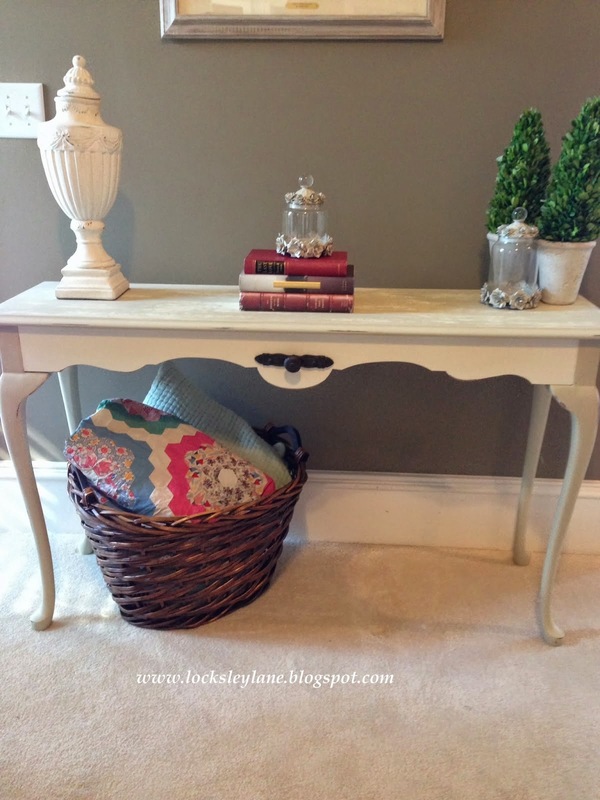 Hello pretty table painted in white. 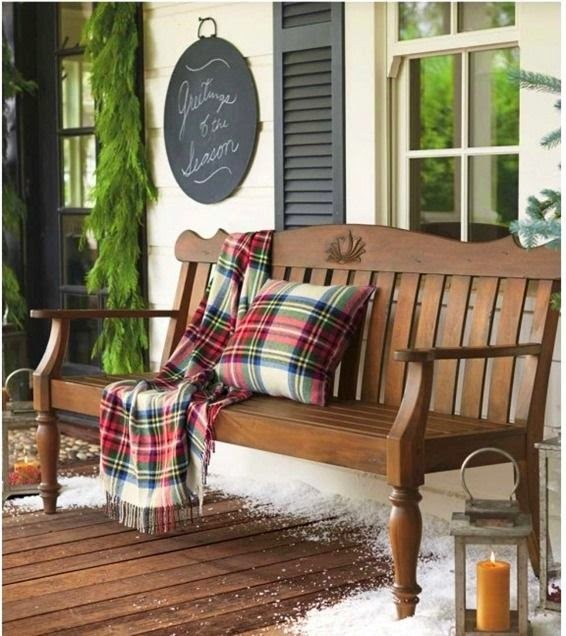 Looks like you found an old rustic bench to put by your side. 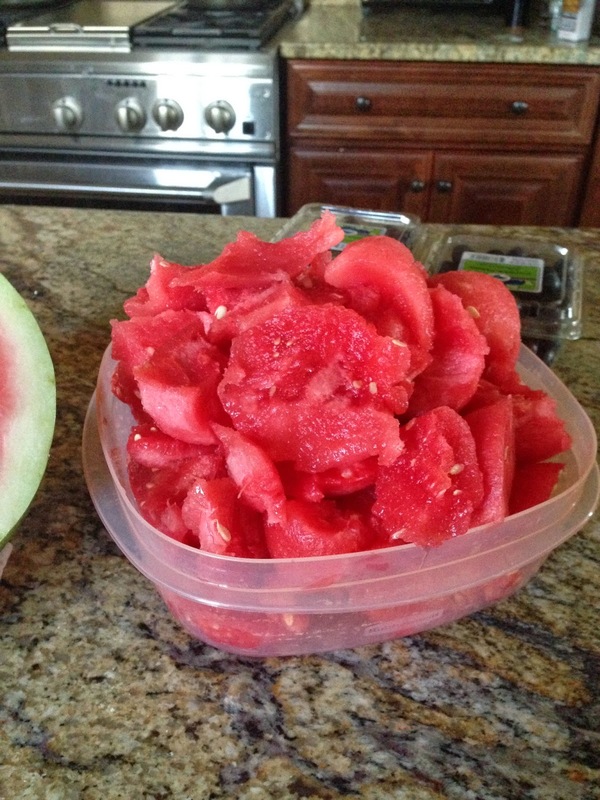 Funny how something so simple can be so pretty. I found this without a site to connect to or I would happily give credit. I think it's so sweet. 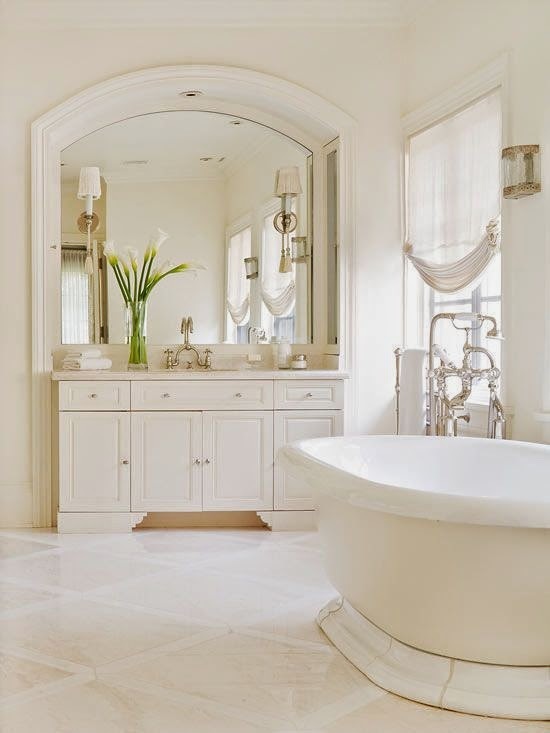 Ok....so I'm having this very big obsession with white. Anything white. Which is kind of funny because I don't have anything white (truly white) in my house. 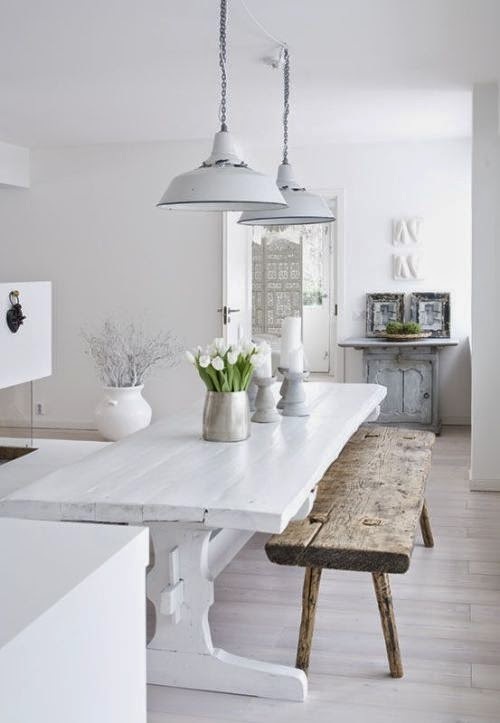 I have this huge urge to start painting and repainting rooms white - especially my kitchen. But hubby is saying....."it's not going to happen." 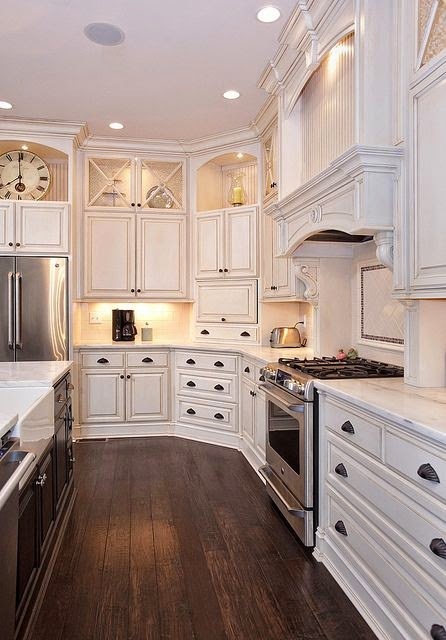 I think a white kitchen is so pretty and clean looking. Hmmm....I'm going to give this some serious thought. 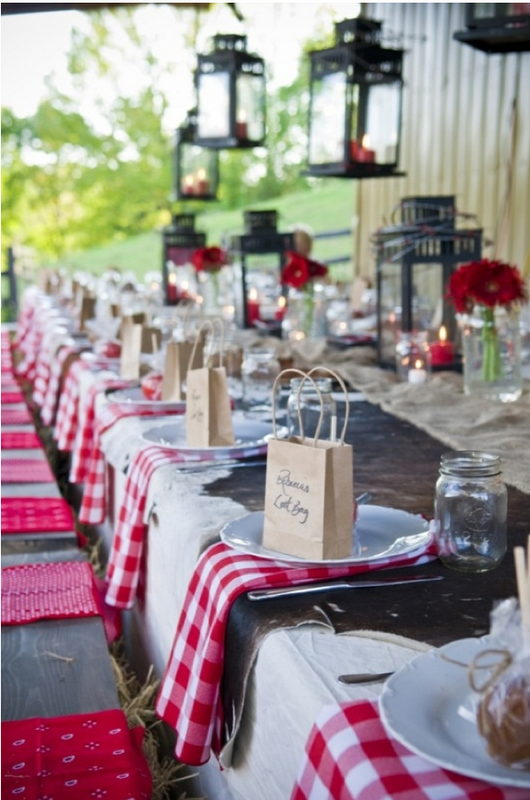 Look a this dining room below. Isn't it pretty all decked out in white? This would be so easy to do and it would give my old set a nice makeover. 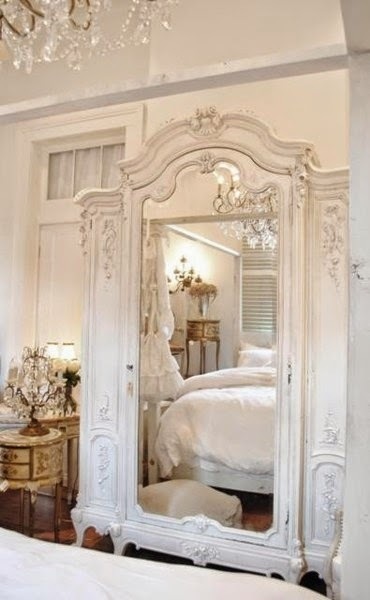 And how about a large white armoire? How pretty is that? 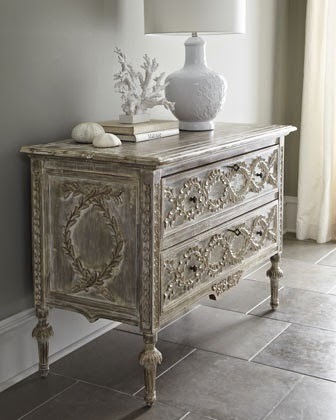 And a beautiful white washed side table. And we all know you can never go wrong with a crisp white shirt. 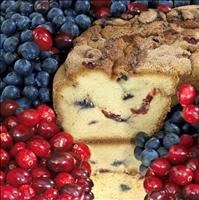 If you love coffee cake...and I'm talking the real thing here...authentic Eastern European coffee cake, then you've come to the right place. A couple of months ago, a friend of ours sent us a coffee cake from this company and the cake did not stick around for very long. I'm talking, it didn't make it through the night. 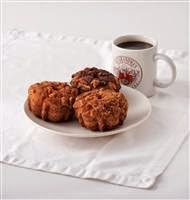 The coffee cake from My Grandma's might be the most delicious and moistest coffee cake I've ever had. Seriously. Ever. 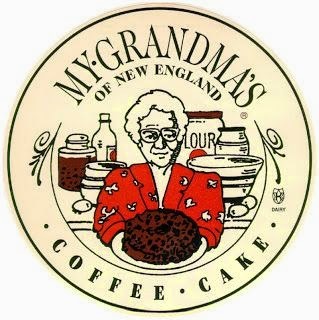 My Grandma's of New England is a small owned company that prides itself on its authentic recipe and outstanding customer service. They use only the finest ingredients and cakes are made to order, not placed in a freezer for several months before you purchase. They have a great assortment of flavors and they even come in small little cakes or pre-sliced. 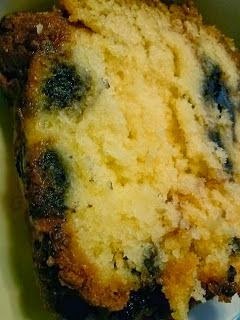 I love good food with good ingredients and coffee cake is a weakness of mine. 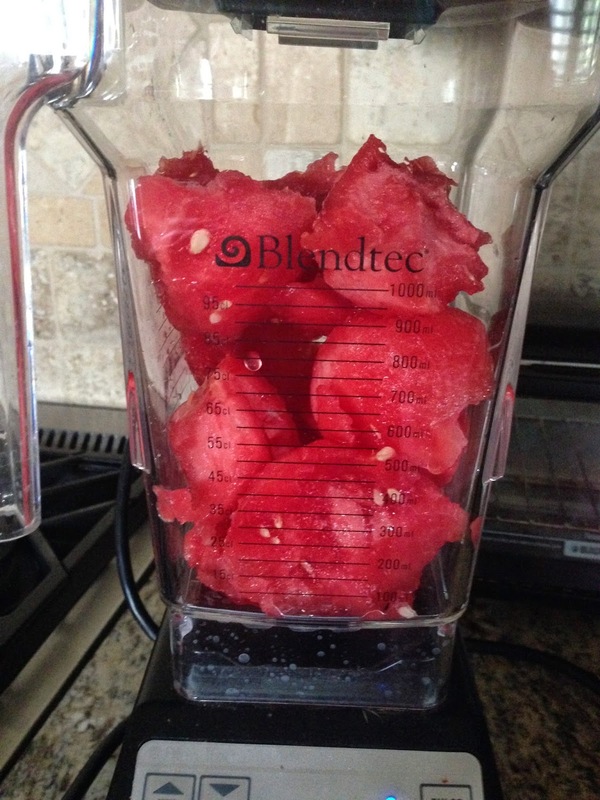 I know...it's not paleo...but if you are going to cheat - cheat on something that tastes great :). I am not being paid to say this either. 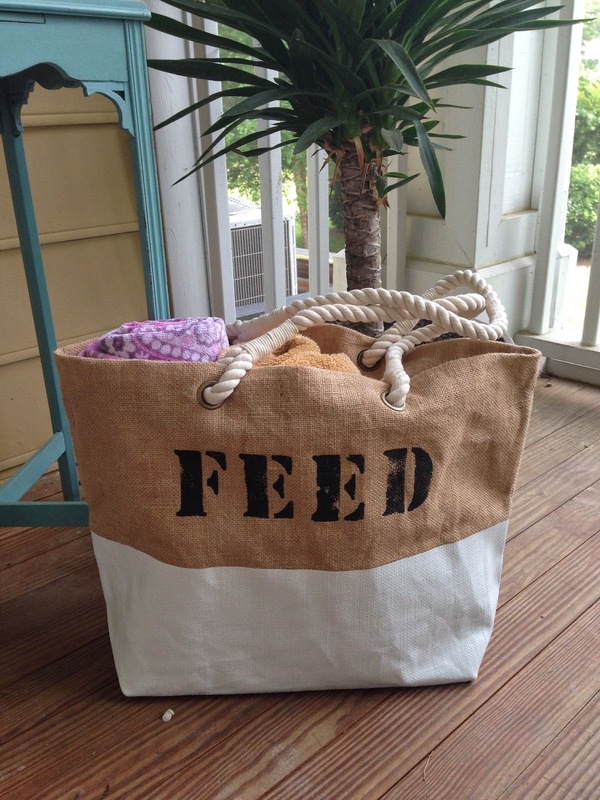 I like to find products that are great for gifts and pass them along. 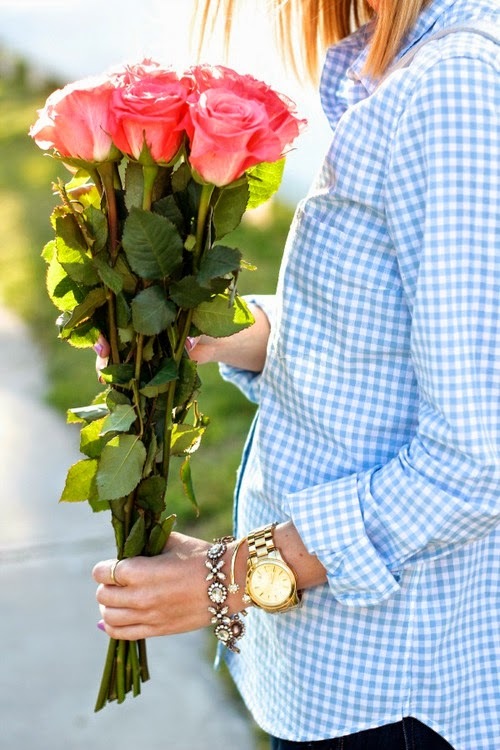 I've sent these as Mother's and Father's Day gifts and they do not disappoint! My dad is already waiting for his to come this weekend. So, if you are looking for a gift to send or need a special way to say thank you to someone special, check out My Grandma's of New England. These are also great cakes for the office too. 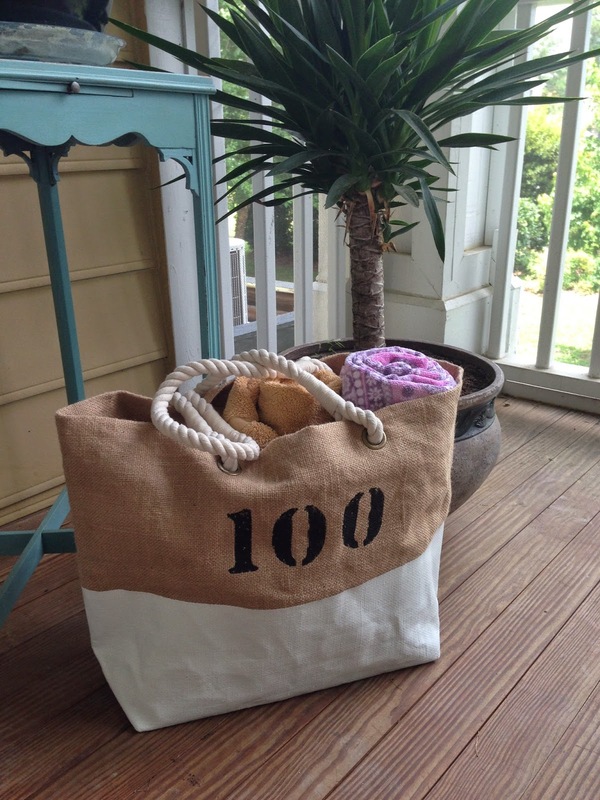 Like them on Facebook or Pinterest so when you need a gift to send, you've got their name and web address handy. 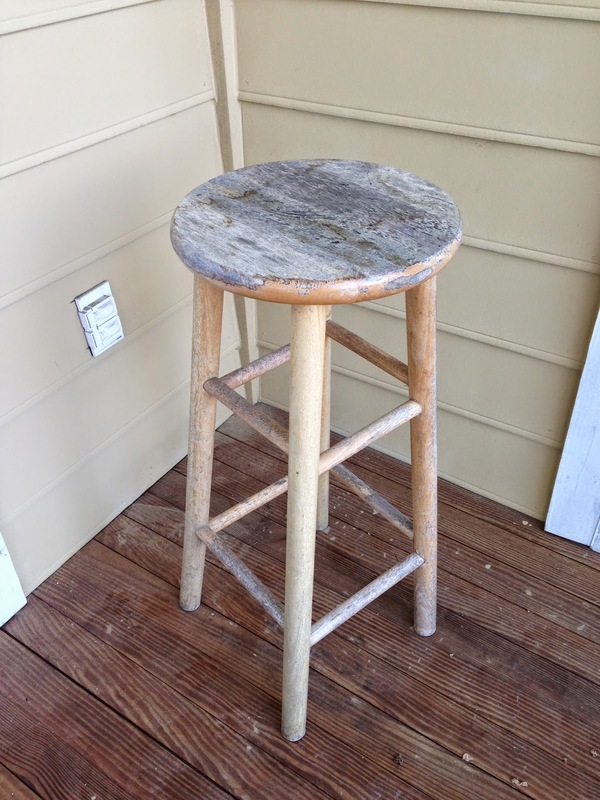 I love old chippy things but you have to know how to use them or else they end up looking....well, old and chippy. I found this beautiful picture of an old chippy church shutter on House Beautiful and just fell in love with it. 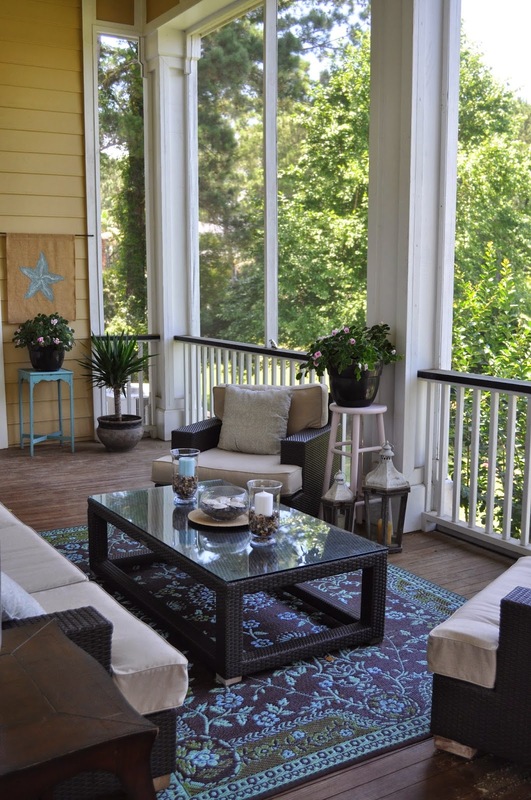 Its paired with modern outdoor furniture and just makes a statement on this porch. Isn't it great? 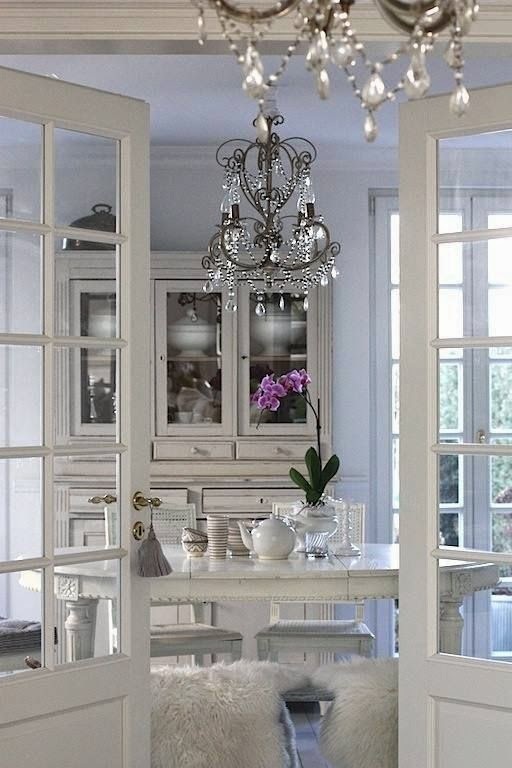 You can mix old, chippy and new and get this fabulous look for yourself. 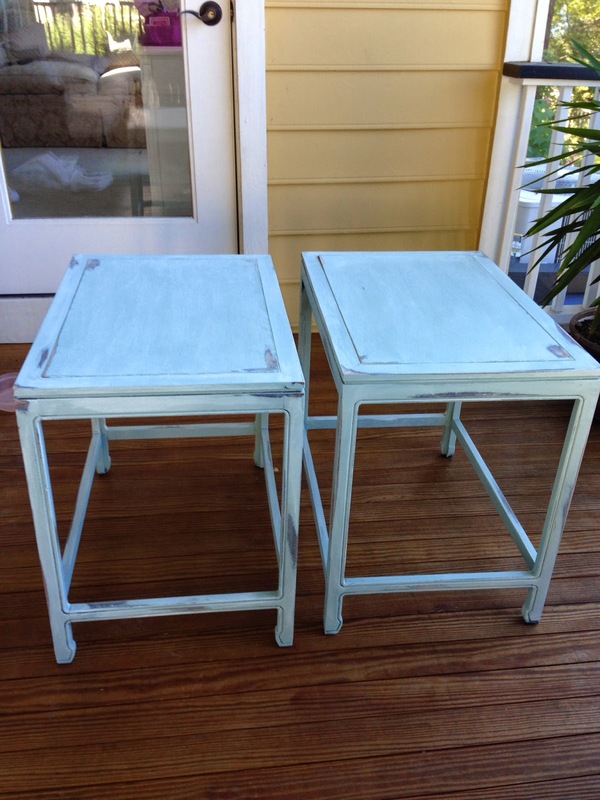 Distressing and chipping is so easy with chalk paint. Are you ready to give it a try? I hope you do. If I can help, let me know how. To the man in the truck who felt he had to blow his horn at me for an entire light series early in the morning yesterday because I didn't go through a yellow light so he could run the red and be on his way, I just want to say...I hope your day got better. And I hope you learn some patience. They say that patience is a virtue and I have to agree. We live in a busy life and most of us can't go through the day without having to wait on someone or something. We wait at a light, at the checkout in the grocery store, at school picking up a child, at Costco, at home waiting for Comcast, at a meeting that should be over and the list goes on. It's a choice to wait patiently or be rude and act like you are more important than others. What does huffing and puffing and blowing your horn (literally) get you? It gets you labeled as rude (well, it's gets you labeled a few other things too but we'll leave it at that). Why not enjoy the wait? You'll get to wherever you are going. If you are late, you are late. In the end...the few minutes you gain blowing by someone isn't going to make that much of a difference. Learn to be patient and you might be a happier person. 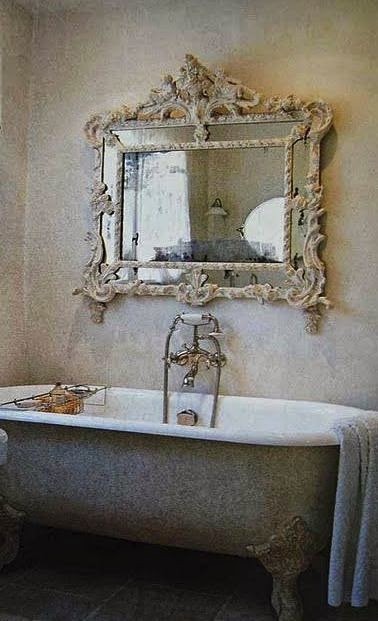 This beautiful old mirror paired with a claw foot tub found on Pinterest speaks old world elegance and a bit of french country charm. It inspires peace and tranquility in a world filled with a lack of patience. Today I want to talk to you about my favorite thing in my house right now.......my basil plants! If you don't have any fresh basil growing in your house or on your porch or garden then you need to drive on down to Lowes or Home Depot and grap a few small plants....today! 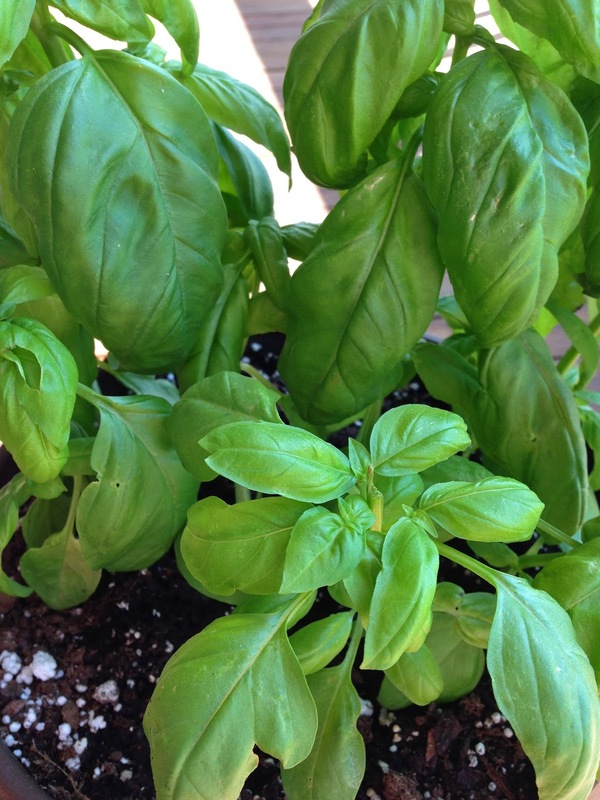 They are super cheap and with just one or two, you will have fresh basil all summer long. Don't fret. Growing basil is pretty much fail proof. 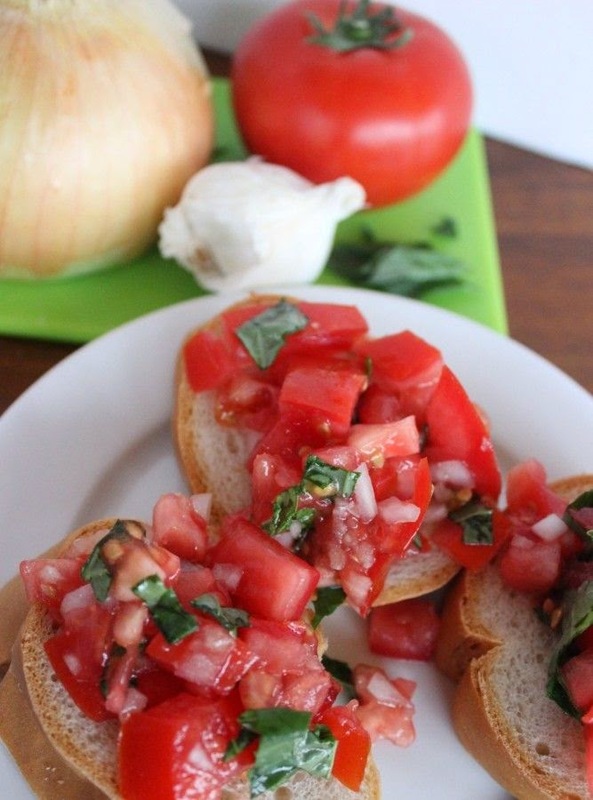 And, there is nothing in the world that tastes better than fresh basil. Trust me. 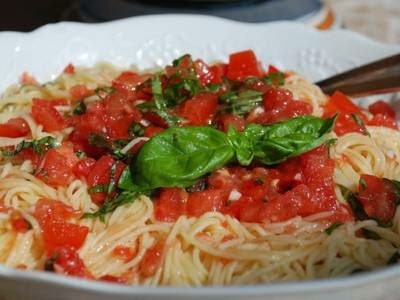 Any dish that calls for basil will be 100 times better if you use fresh basil from your own pot. You'll feel like you are really something with this little plant in your house. All you need is a warm sunny climate, a basil plant in a pot and water. Basil needs about 6 hours of sunlight and the soil needs to stay moist. So water a little bit every day. Pinch off the center of your stalks once they are about six inches in height to promote more growth. It's that easy. 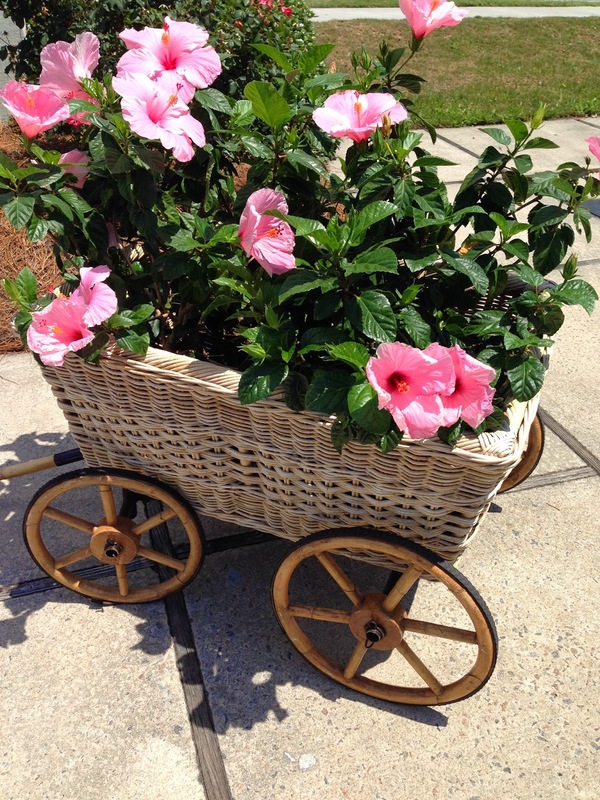 You might have to transfer to bigger pots as it grows or if you are up north, you can plant this right in your yard. What can you do with basil that you need a plant? OMG..for summer dishes this is the best herb around. 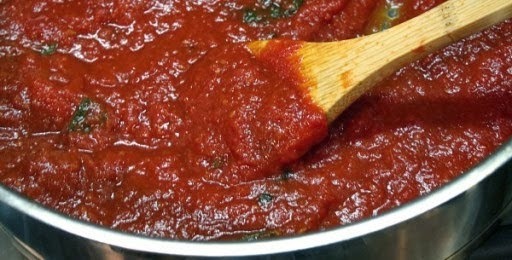 First and foremost, this will change your homemade momma ferraro's sauce from great....to fabulous! All of your fresh pasta dishes are going to taste like "momma" made them. 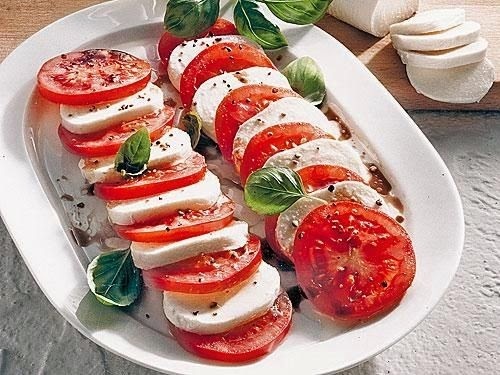 A side of basil, tomatoes, mozzarella and balsamic vinaigrette is going to go from plain jane to super yummy. 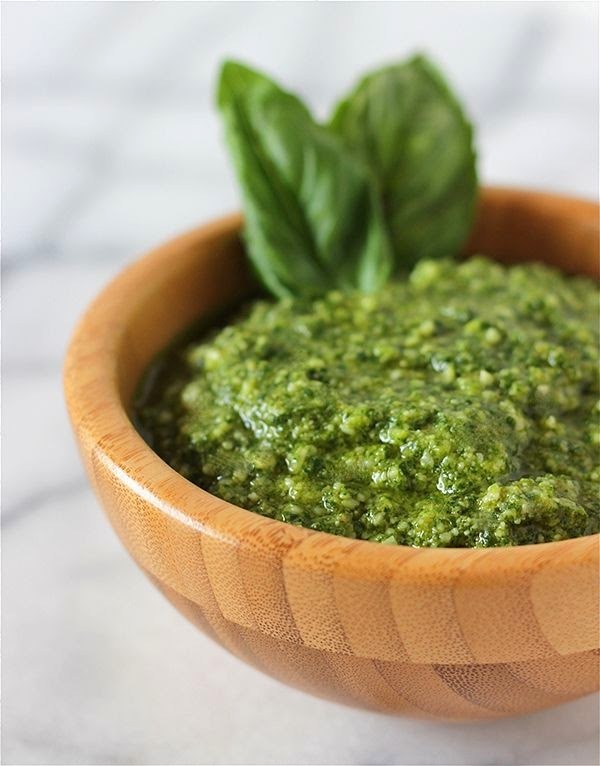 And if you want to really wow the table, you might make your own pesto. 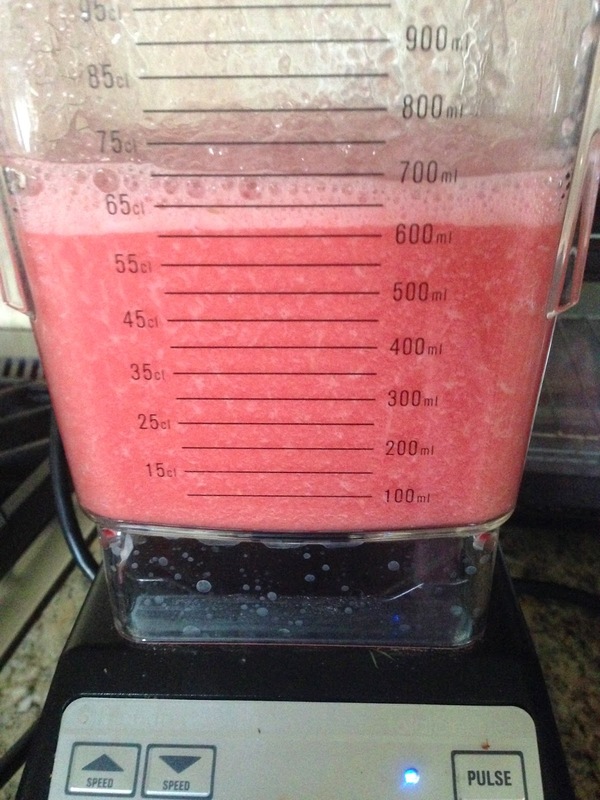 I also make a great watermelon smoothie with fresh basil that is a great tummy blaster! (I'll share that another day) There's nothing like it. 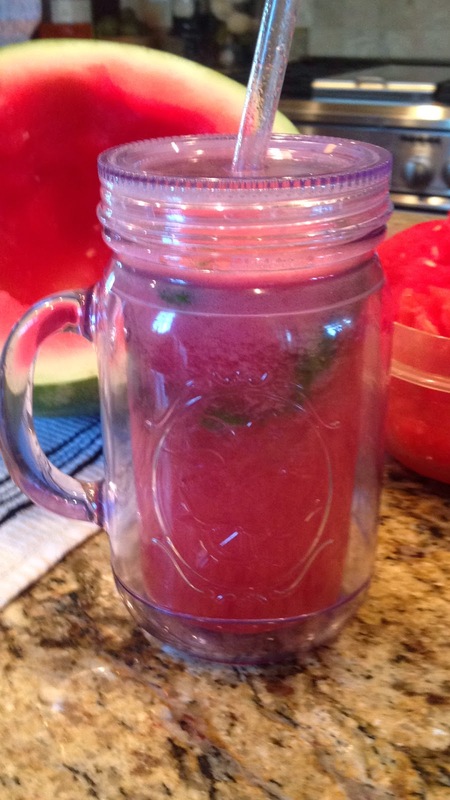 I pulled some of these pictures off of Pinterest to give you an idea of all the great things you can do with basil....and this is just the start! So go get yourself a couple of little basil plants and have your own fresh basil all summer long. I promise, you won't regret it. 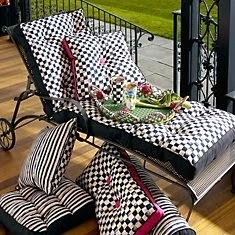 and for outdoor furniture too. You really can't go wrong with checks. It's a pattern that mixes well with almost anything. 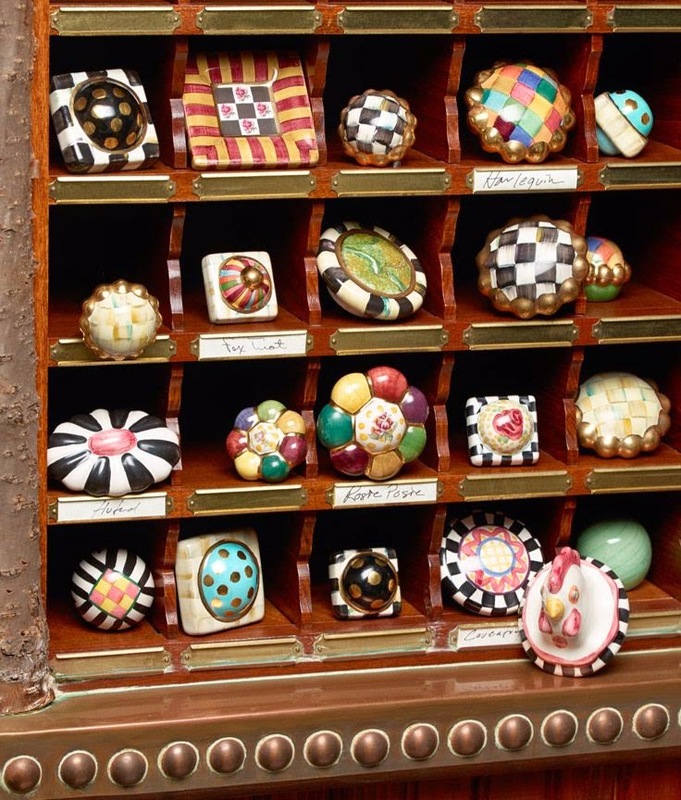 You can even snaz up your re-painted furniture with cute checkered knobs. Or how about this sink? 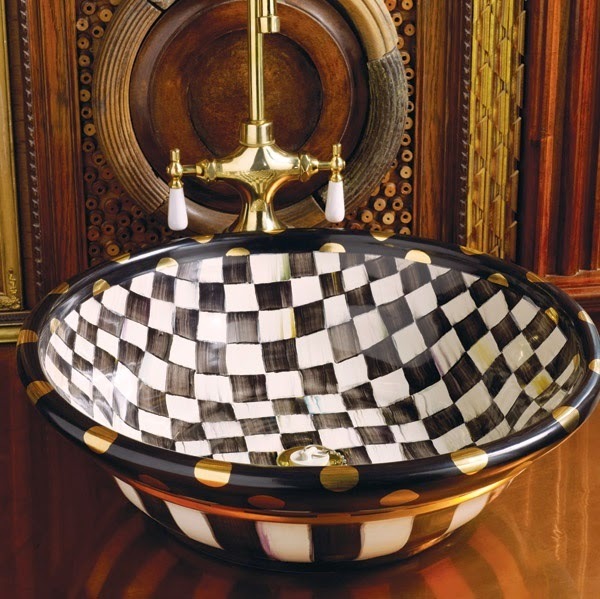 I don't usually think of checks as "beautiful" but this sink is gorgeous. 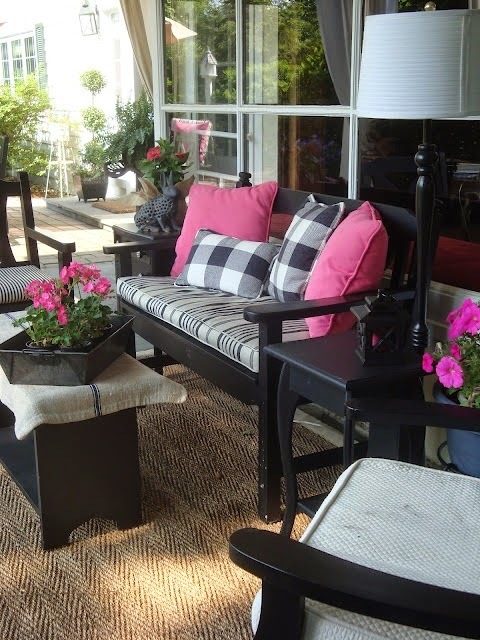 Jazz up your deck or patio with some cute checkered pillows. Put some checks into your life. You'll be happy you did. I might have to head off to the bookstore today and get one. 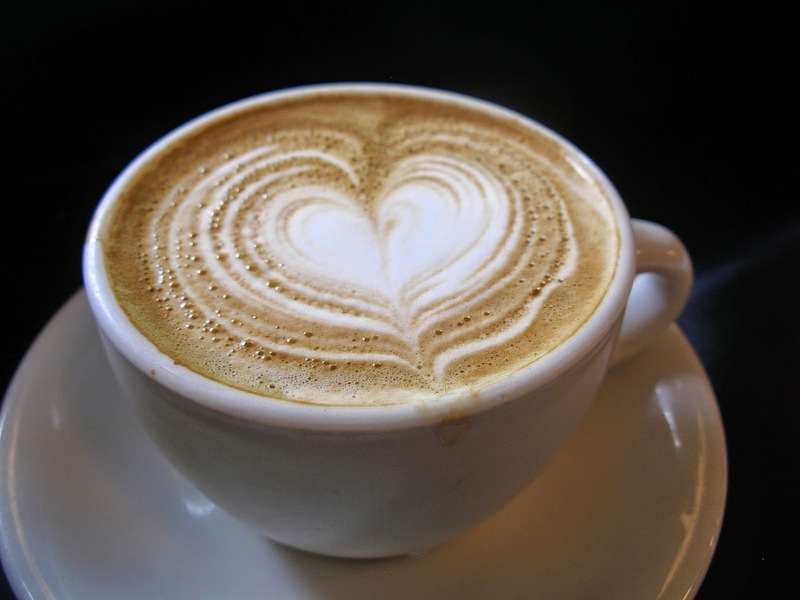 Maybe I'll pull out a few "paint books" and see what's happening while I sip a good hot cup of joe. How about you? Take a few minutes, calm your mind and count your blessings. 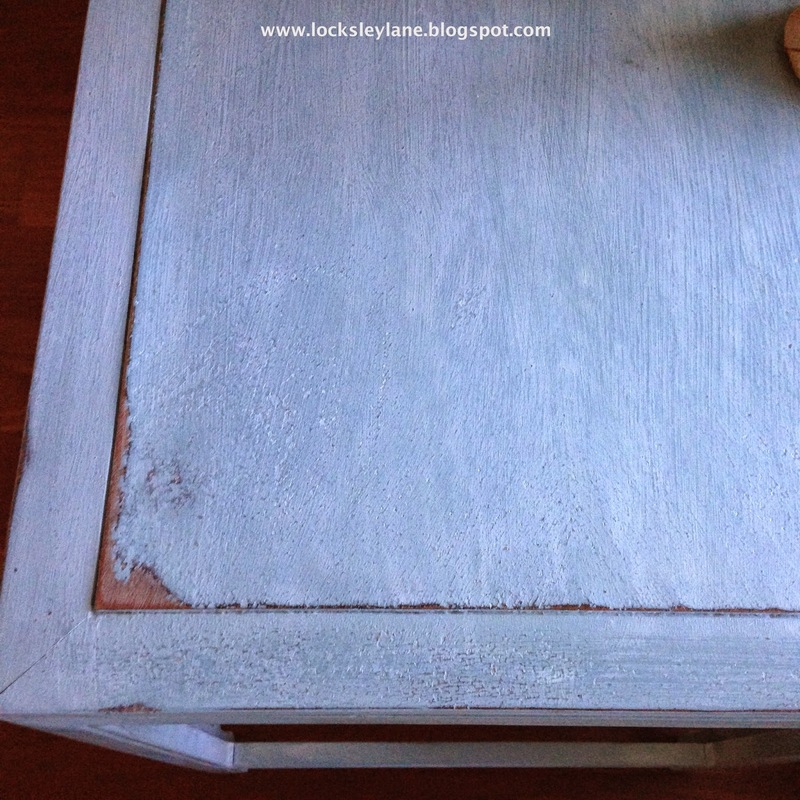 One of the very cool things about chalk paint is the ability to layer, wash and sand paints together to create a completely different and unique finish. 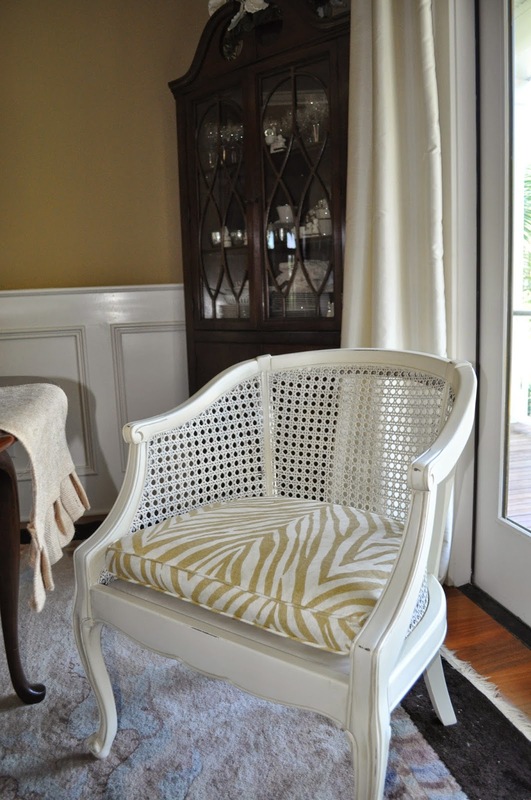 You can paint a solid color, wet a rag with another color and wipe it on and off. You can add and take off as much as you want depending on the finish you are looking for. Use clear wax, dark wax or both to change the look and feel of your paint. This was a carving at the bottom of a chair I as doing. 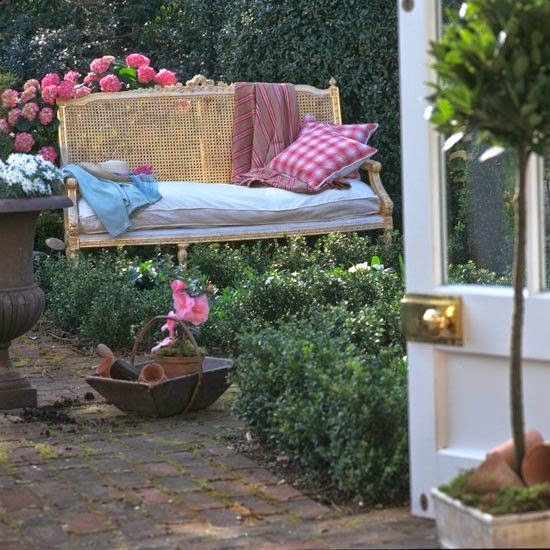 I started with Provence and then added some French Linen and Old White. While putting on the Old White, I took a wet rag and wiped off some of it so the other colors would peek through. Then I distressed the piece with sandpaper. This is the same piece above but with clear and dark wax. 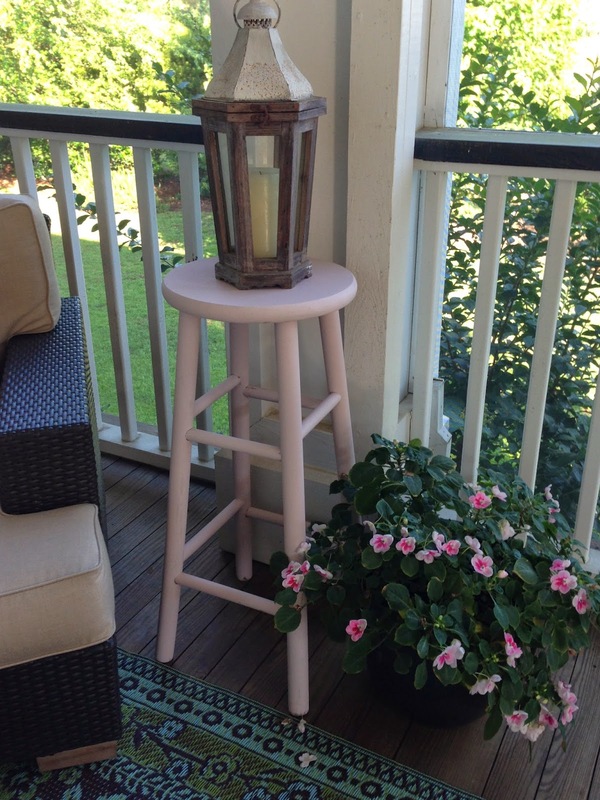 See how the dark wax transforms the paint? This piece started out in Duck Egg. I took a wet rag and dipped it into Old White and wiped the piece down going back and forth. 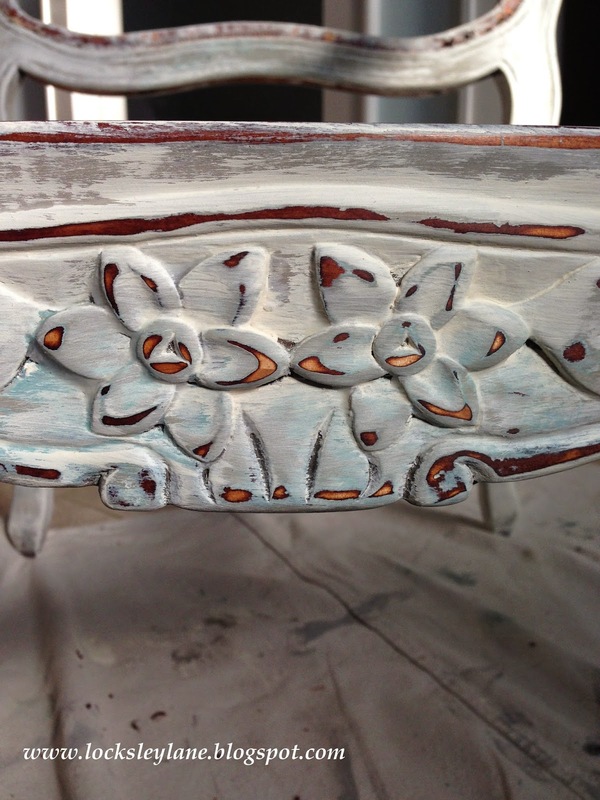 Using a wet rag with paint is a great way to add a "washed" finish to your piece. 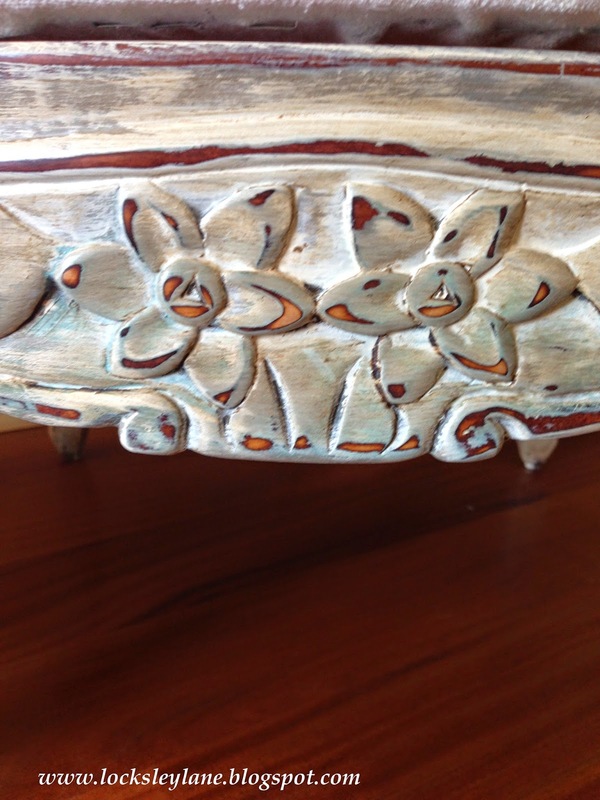 I sanded both pieces entirely to meld the two colors together, distressed and added clear wax to finish. 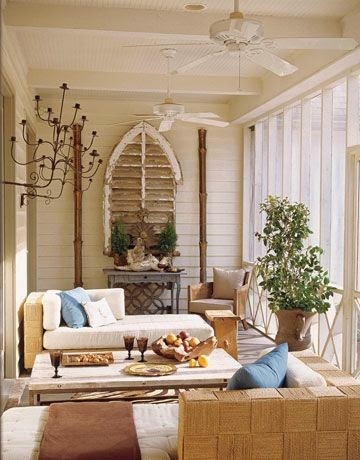 This piece above has a combination of Country Grey and Old White. 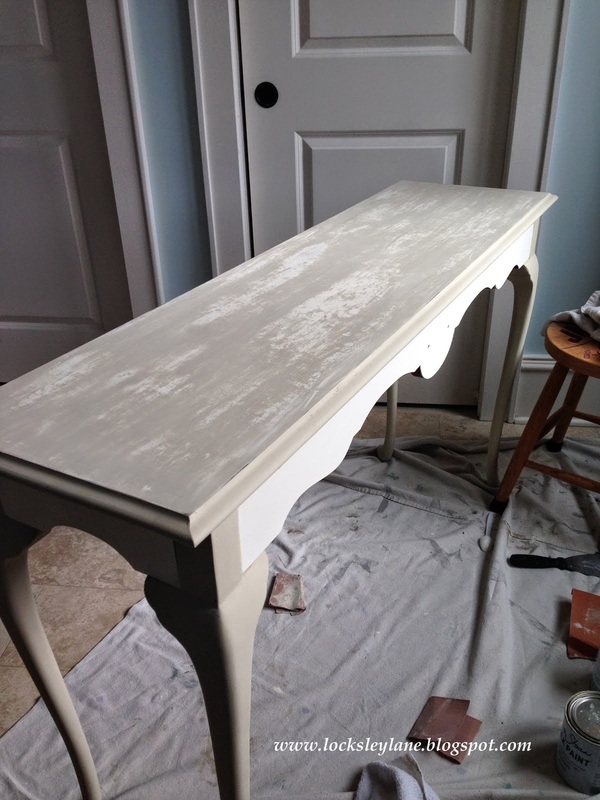 I kept the legs and base a solid color but painted the top coat with Old White and then put on a layer of Country Grey. I sanded the top down in places so the Old White would come through. I did not take it down to the wood. Then I finished with clear wax. The ability to mix and layer is endless. I love playing around with paints and coming up with different finishes. Take a piece and play around with it. See what you can come up with. Happy Thursday. Thanks for stopping by! 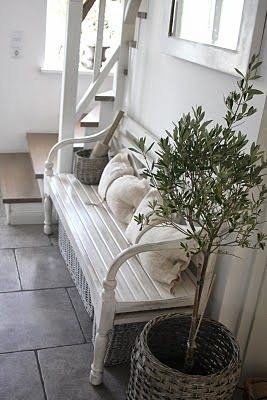 I think there is something sweet about a wood bench. You can use them inside or out. They can go in a hallway or on a porch. Even out in your garden.